Long associated with pop culture’s favourite rebels (James Dean and Joan Jett included), leather is the material of the cool kids – think Kate Moss in skintight leather trousers at Glasto circa 2007. In 2019, designers are reimagining how to wear the wardrobe mainstay. Perhaps Balenciaga’s slick, Matrix -inspired looks are your vibe? Or Bottega Veneta’s full-on ’80s sportswear (complete with new must-have item, leather Bermuda shorts)? At Burberry, creative director Riccardo Tisci stuck to the brand’s heritage roots, offering leather iterations of ladylike A-line skirts and classic trench coats, while Marc Jacobs, Miu Miu, Acne Studios and Fendi lightened things up, sending leather looks in bright yellows, mint greens and warm neutrals down the runway. 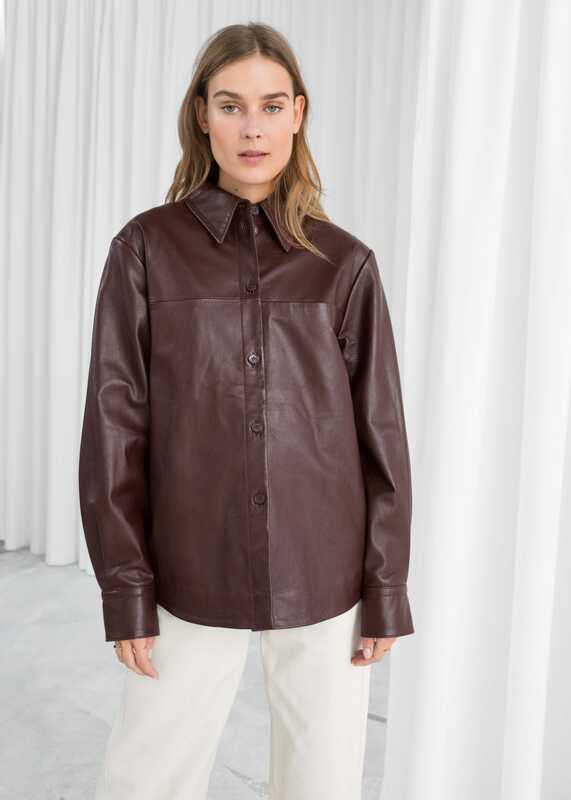 Cult brand Nanushka (maker of last season’s much-coveted faux-leather Penelope dress) continues to offer the best vegan alternatives, such as button-up shirts and buttery soft wrap dresses. The high street has plenty of affordable options, too. We suggest Kitri, Warehouse, Topshop and Mango for the best selection of faux and real leather dresses, trousers, skirts and outerwear. Try adding one statement piece to your spring wardrobe to update your look or if you’re feeling brave, go for leather on leather. Swap out your tired denim bootcut jeans for Acne Studios’ orange leather pair. 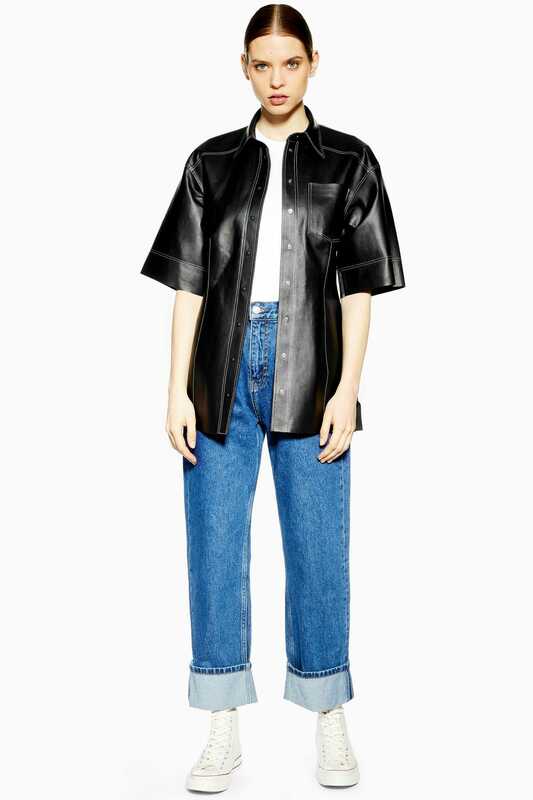 You heard it here first: the button-down leather shirt is one of spring’s must-have pieces. 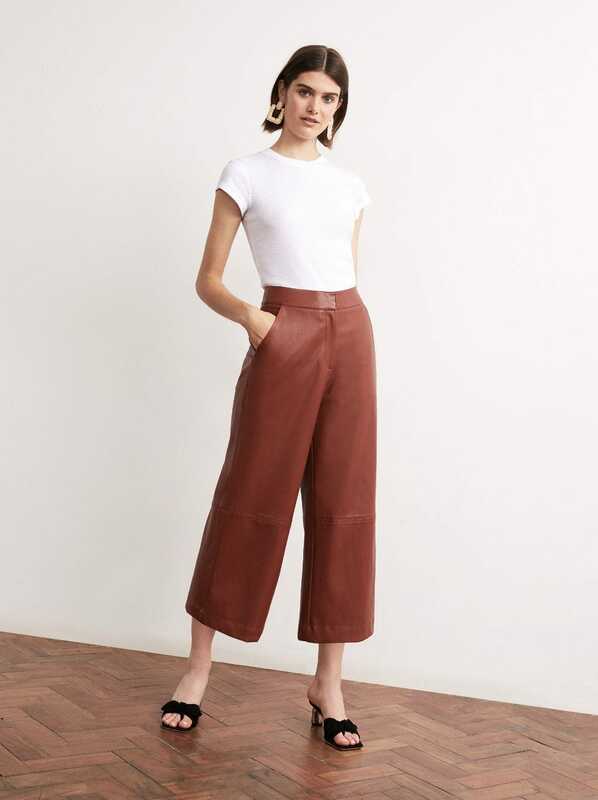 Slimmer than your trusty biker jacket, it’s perfect for layering – over a polo neck, tucked into high-waisted jeans, or loose over a denim mini skirt. 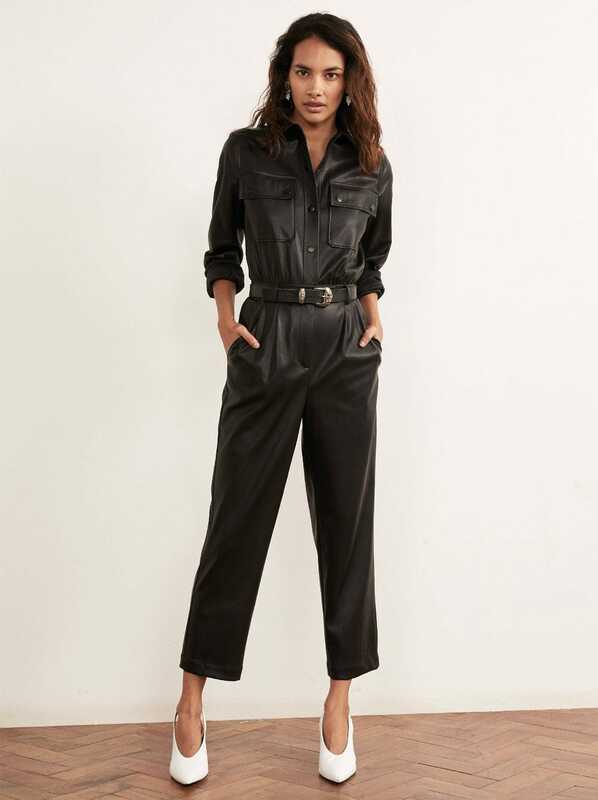 Leather jumpsuit. Doesn’t sound like it should work, does it? However, Kitri proves that it totally does (and in vegan leather, no less). Brighten up your wardrobe with spring’s warmest colour trend: marigold. ← Do I Really Need To Worry About My Fertility Right Now?